MANILA, Philippines - A California-based firm is offering the government 21 UH-1 or Huey helicopters for P1.2646 billion for use in the May elections. 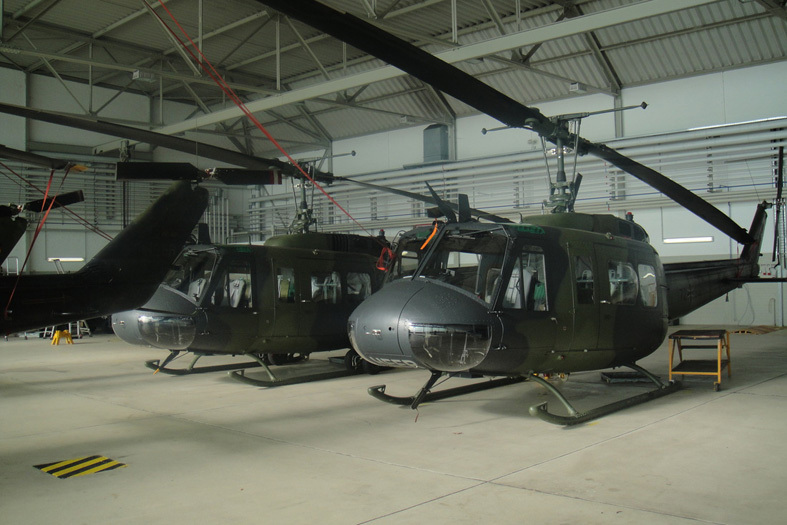 The Air Force made the request for additional Hueys in 2011. The offer was accepted because the amount is lower than the allotted P1.2649 billion. Rice Aircraft Services Inc. was the sole bidder for the helicopters. It was declared an eligible bidder after submitting all the necessary documentary requirements to the Bids and Awards Committee. Defense Undersecretary Fernando Manalo told The STAR the helicopters will be delivered by March 31, weeks before the elections. The helicopters will enable the Air Force to meet the airlift requirements during the May polls, he added. Originally, two firms submitted bids for the delivery of the helicopters. However, the other bidder – Israel-based Radom Aviation Systems Ltd. – backed out. Radom reportedly wrote to the defense department about its decision to withdraw its bid. Defense officials said the company did not say why it was backing out. Rice cannot yet be declared the winning bidder as it has to pass the post-qualification requirements that the defense department had set. The post-qualification stage seeks to determine whether the bid is responsive to the technical and financial requirements of the project. Rice can only be named the winning bidder after it receives a notice of award from the government. The UH-1 is the primary helicopter of the Air Force.